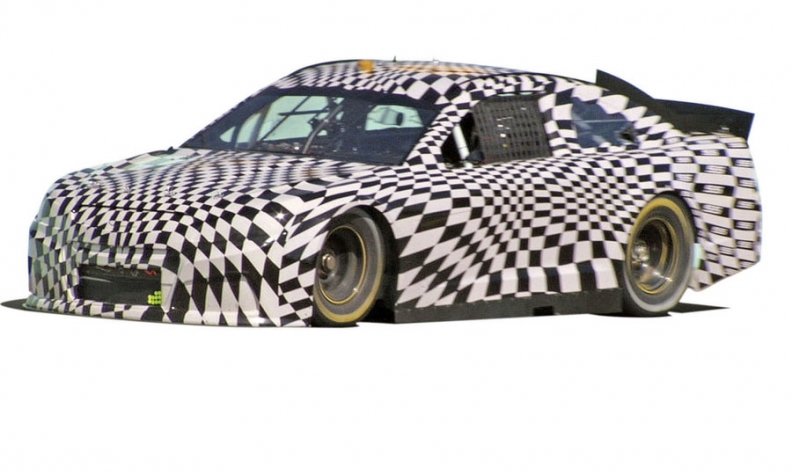 The Chevrolet SS sedan will be the brand's next NASCAR Sprint Cup race car. DETROIT -- Chrysler Group is about to get some competition from a Detroit rival in the market for big, rear-wheel-drive performance sedans. Last week, General Motors said it would add a four-door, rwd performance car called SS to its lineup by late 2013 as a 2014 model. The sedan, Chevy's next NASCAR Sprint Cup race car, will be imported from Australia and built on the same global rwd platform as the next generation of the Commodore VF, sold by GM's Holden unit. Chrysler has cornered the U.S. market for large rwd sedans with the Dodge Charger and the Chrysler 300, which was refreshed for the 2012 model year. This year through April, Chrysler's 300 sales more than tripled, to 27,729; Charger sales have risen 34 percent to 30,496. That hasn't gone unnoticed by Mark Reuss, GM's president of North America and resident car guy. Last month, Reuss told Automotive News that he thought Chrysler was "doing a great job" selling two large rwd sedans "because they've got it bounded right and branded right and priced right." But he also made clear that he thinks there's a better strategy: offering a rwd sedan along with a front-wheel-drive large sedan that gets better fuel economy. In other words: couple the future Chevy SS with the Chevrolet Impala, which will be redesigned for the 2014 model year. "I don't think you're ever going to get enough volume by having rear-wheel drive on what could be two high-volume entries in that segment," Reuss said. "In the long run, you can't get the fuel efficiency with rear-wheel drive, so you're going to miss some family buyers." The V-8 powered SS, or Super Sport, will be the first rwd Chevy sedan sold in the United States since the 1996 Impala SS. The new car takes its name from the label that has designated many high-performance Chevys over the years, starting with a 1957 Corvette prototype race car. The first production SS model was on the 1961 Impala. GM briefly sold a Holden-derived large rwd sedan as the Pontiac G8 before the brand's demise in 2009.